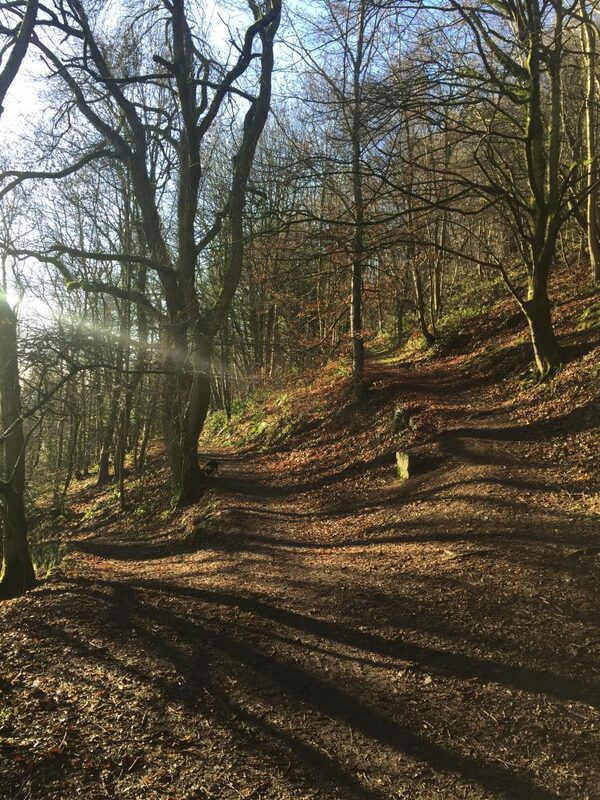 We’re lucky to have some great dog walking routes on our doorstep and several times a week I head up the hill behind the house and walk through the woods. I love the peacefulness, just me, the dog and the wonderful sounds of the birds. 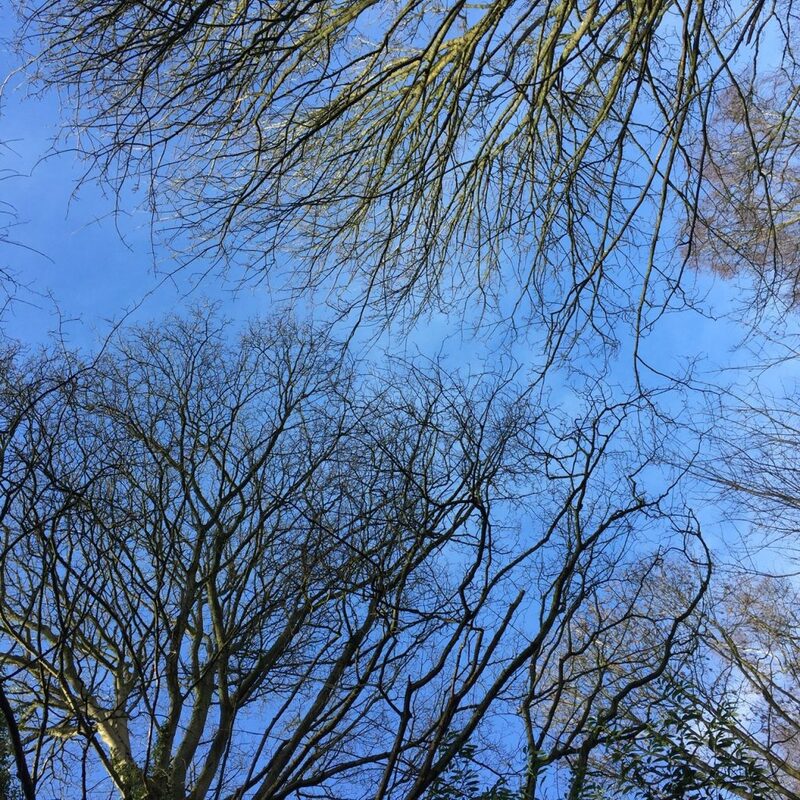 I’m often inspired to take photos of the trees and at this time of year they are particularly beautiful. 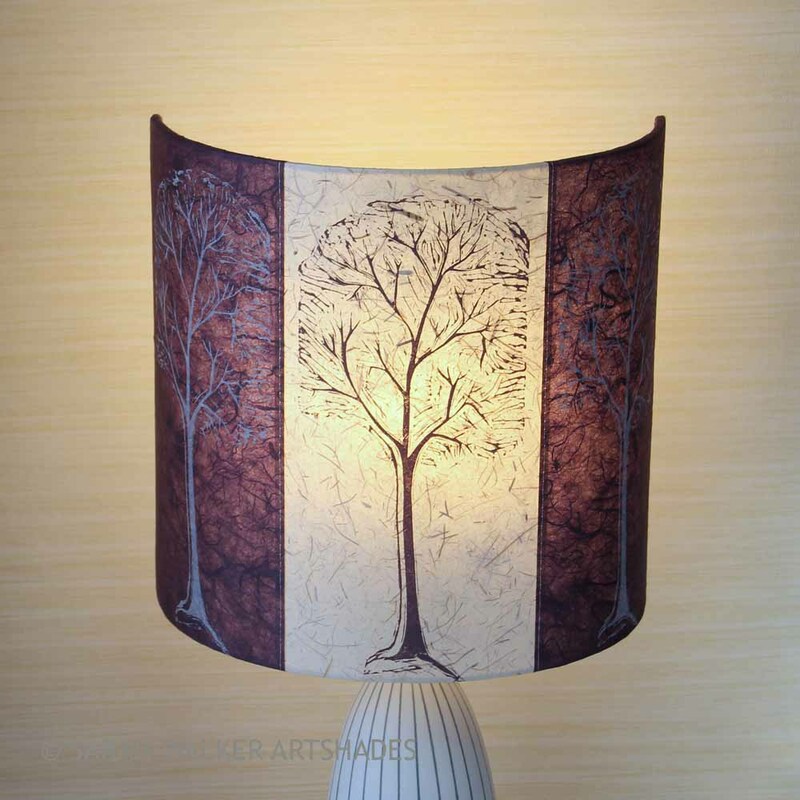 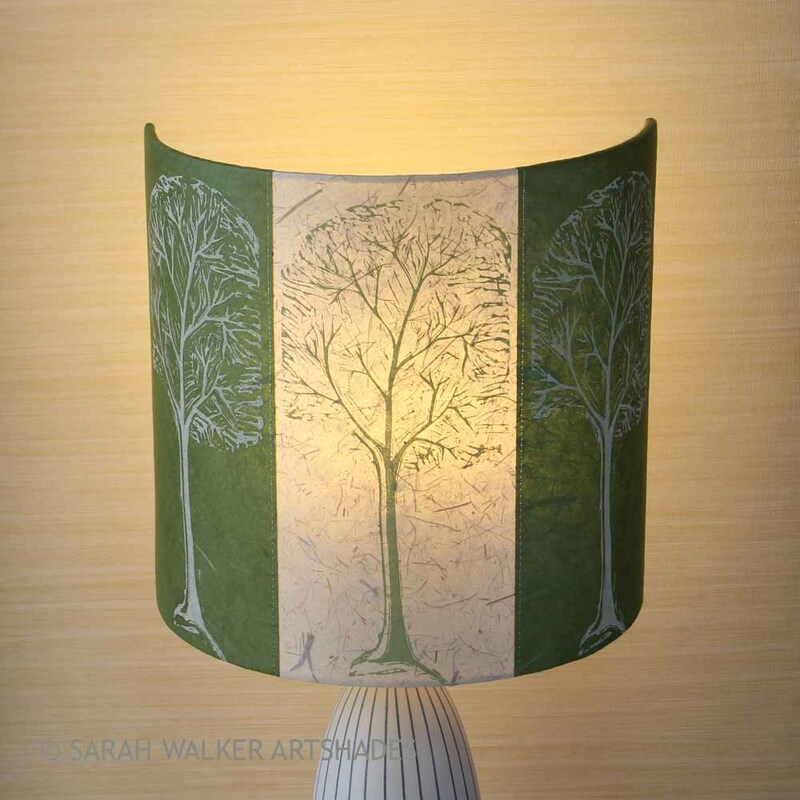 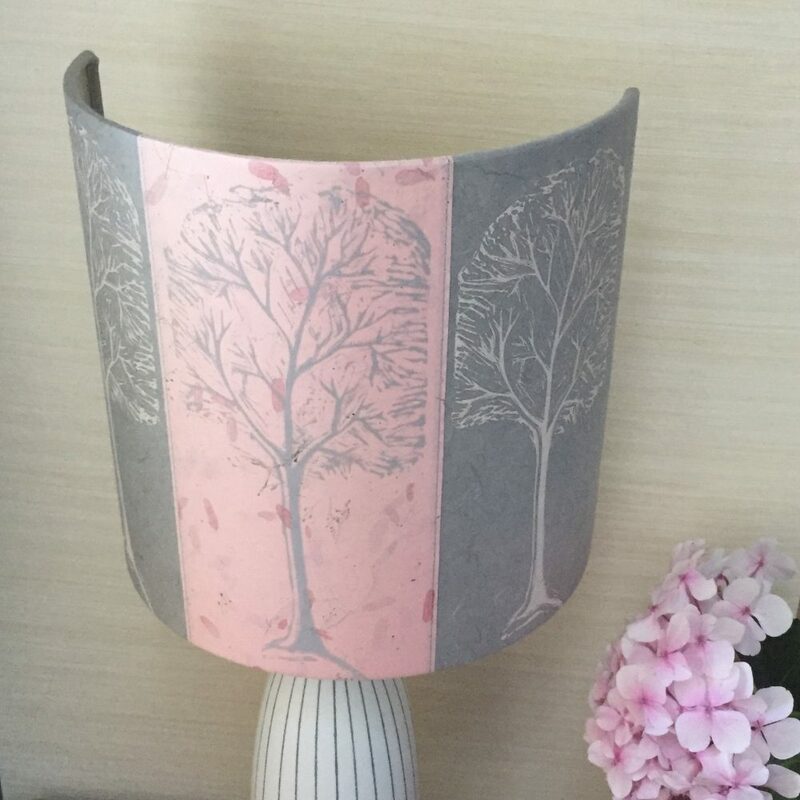 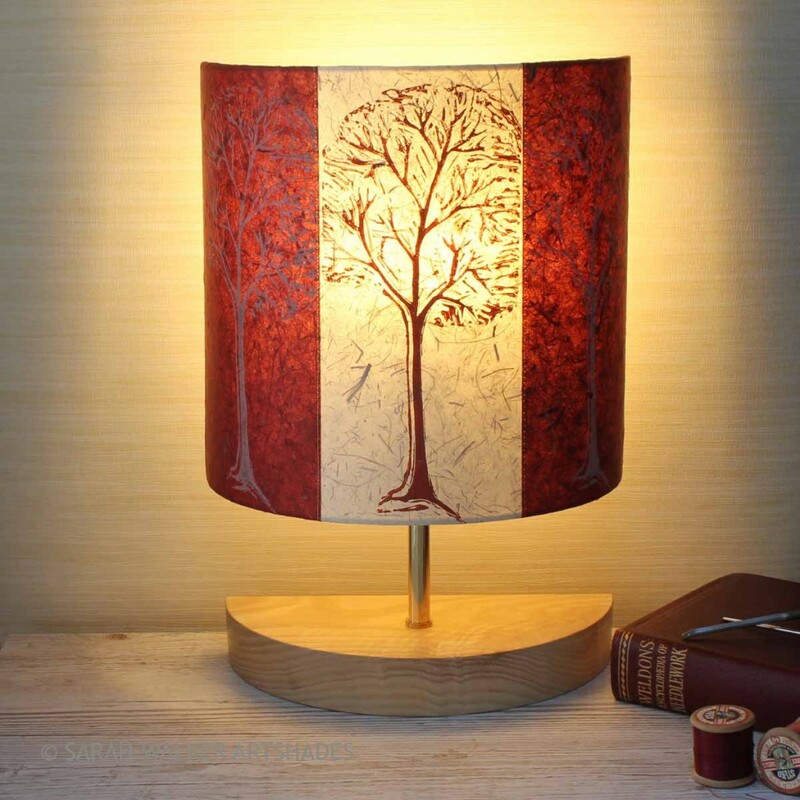 My customers are clearly inspired by trees too and my linocut winter tree lampshade design has proved very popular over the past few months. 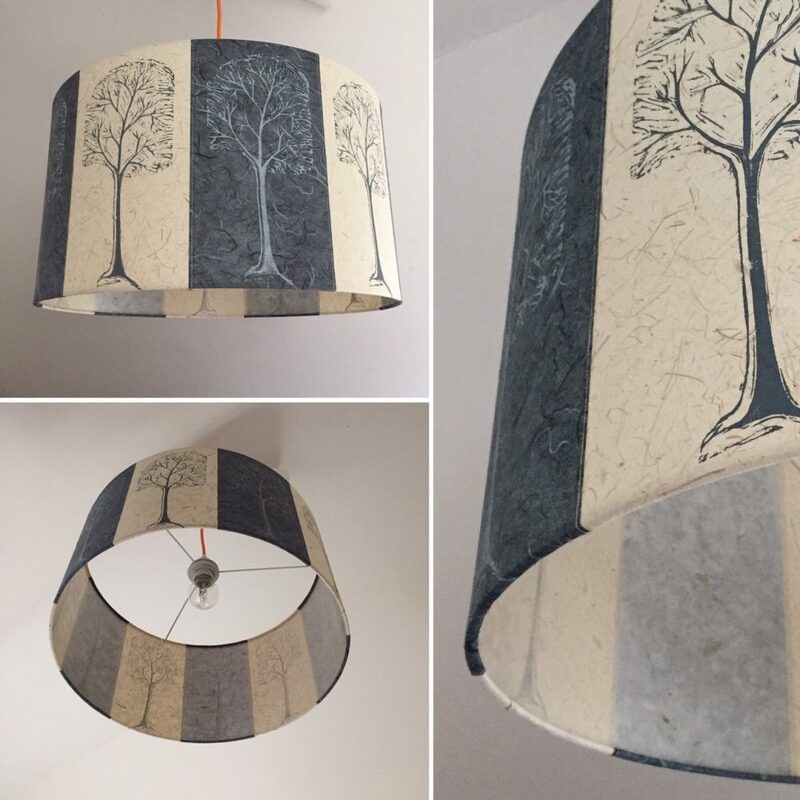 Last week I completed a large pendant shade commission. It measured 45cm diameter and had 10 original linocut prints sitiched in panels around its circumference. 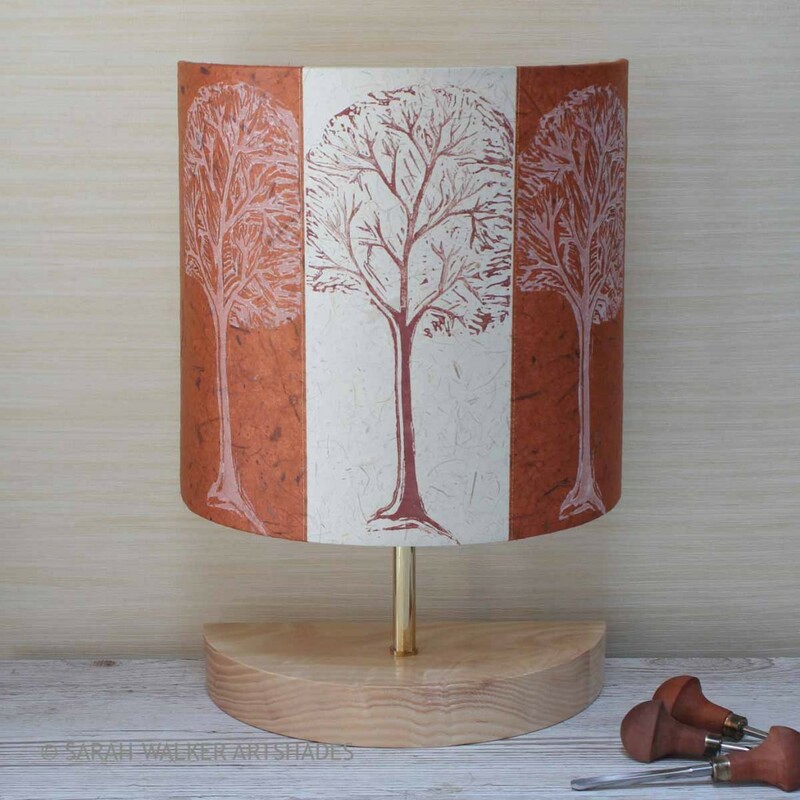 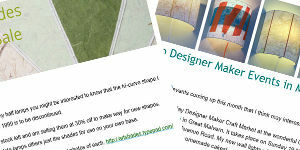 If you’d like to order a drum shade, half shade or table lamp in a different colourway, please email me.